Founder Jim Kupczyk had a vision that many of us can relate to—making the world a better place. With an incredible concept and enough funding to properly launch his business, all he needed was a brand and website that would attract the right customers. 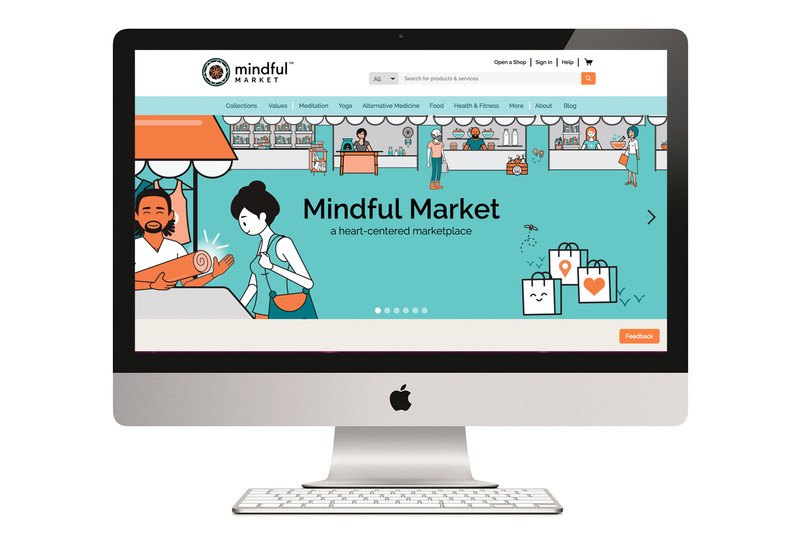 The vision for Mindful Market was to be Etsy for small independent shop owners in the health and wellness industry. We wanted to create a home for small business owners who devoted their life to the well-being of others. A place where their values and aspirations were mirrored back to them, encouraging them to share their gifts with the world. Simultaneously, we wanted to appeal to like-minded consumers who were frustrated by having to shop in many different stores in order to find the products and services that reflected their values. The last piece of the puzzle was an explainer video. 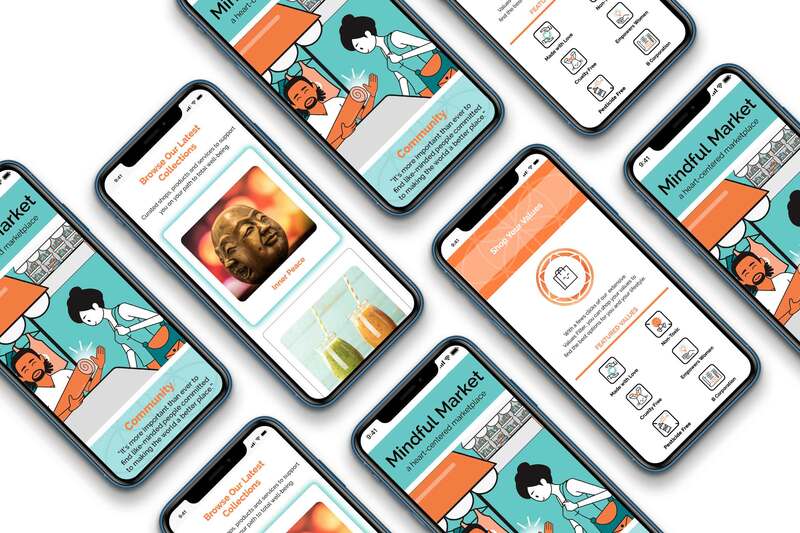 Mindful Market has two target audiences—the vendors who open shops on the online platform and the customers looking to buy wellness goods and services. Art+Soul created a script and engaging motion design video that showed how these two avatars are brought together by the Mindful Market ecommerce site and solve each others problems.